We bring readers this short video to show where our senior men played yesterday – Starfire Stadium, under the lights! It was the scene of a plethora of points with CW Prems coming out on top 65 – 49! In the curtain-raiser The Divvies lost a close one, 30 – 33 but earned two bonus points in the endeavor. 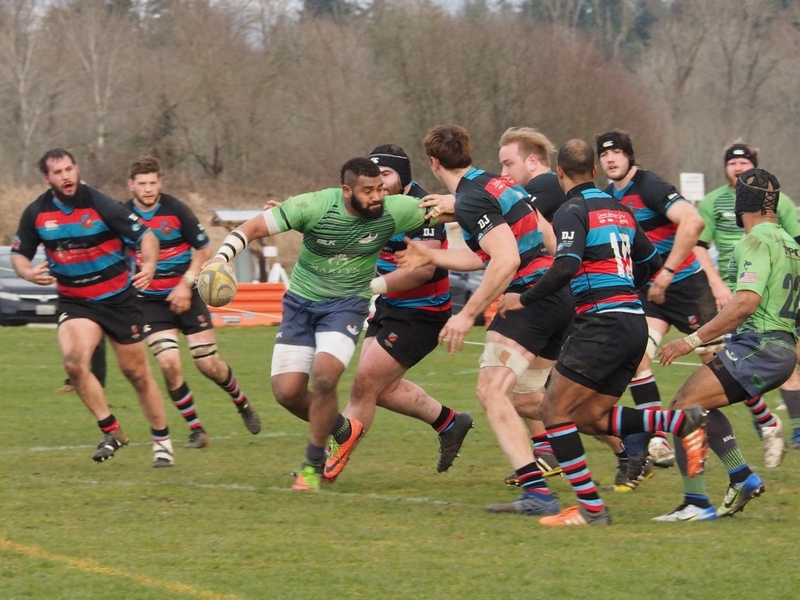 The second aspect of the video is to have a look at just how well professional rugby, which kicks off today for a new season, has been received in Seattle. Seattle weren’t unbeaten at home in year one but by the end of it they had made Starfire, the Tukwila venue where the Sounders of MLS play cup games, the most forbidding MLR venue. The “sold out” signs went up and likely will again, a raucous crowd ready to make things uncomfortable for any visiting team. “When teams come to Starfire it’s a different experience to what the rest of the league is offering and it’s a massive boost to us as players to have that support. It shows what a fan base Seattle can generate.” (Capt. / Coach, Phil Mack). 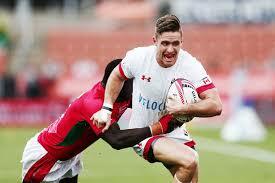 U.S. rugby received another boost yesterday at the Hamilton Sevens. Despite missing Perry Baker, they were runners-up to a Fijian team on fire in the Cup Final however despite the 38 – 0 thrashing, they still find themselves tied at the top of the table, having now been joined by Fiji. This is a good thing for Canada for Olympic qualifying purposes as it would leave open another "North American" spot as the U.S. has already qualified geographically (somewhat akin to RWC). Whilst with Hamilton, a big shout out to our NSMT who will be feeling much better about their results in this tournament. The boys finished tied with Australia in seventh place. This scribe managed to watch Canada Vs Fiji game, a game where Fiji basically only had six possessions from which they fashioned five tries! I loved Connor Braid’s effort in this one. Unfortunately, in their game against Samoa, a much improved team, Samoa jumped out to an early lead and held on for a deserving 28 – 19 win and their sixth spot finish. Canada are still nudging the “top ten” with Spain, Argentina and Samoa all within close reach. CW's, Luke McCloskey had some good minutes in Hamilton - 'onya, Luke. CW Premier Women lost a close one in Burnaby, 15 – 20 yesterday after leading at the interval. We hope to have game reports early in the week for all three teams. The men’s Islanders lost 20 – 23 at Westshore. A feat of a special nature was the fact that our senior men had 59 players suited up for action yesterday – an unheard of achievement for the club; ‘onyas all. Next week the women host UBC and the men travel to UBC for a big showdown.